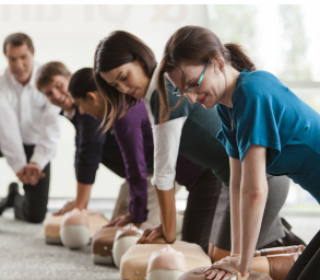 As from 31st August 2017 Occupational First Aid and its refresher course will no longer be available. The Health & Safety Authority (HSA) is now in a position to announce that as and from 1 September 2017, it will only recognise the PHECC First Aid Response Education and Training Standard (FAR) as meeting the needs of occupational first aid (OFA) in all workplaces. Read more about STAC's First Aid Response course here. STAC took the time last summer to build our First Aid Response course to be the best learner experience possible. It is a highly involved course where the learners will part-take in many patient assessment & treatments. The HSA will recognize training and assessment relating to QQI’s Level 5 OFA (5N1207) that took place up to 31 August 2017. That recognition will be for a 2 year period. (Please note that it is possible that the QQI component certificate could be dated post 31 August 2017 e.g. October or December 2017). Refresher certificates issued by recognised training providers up to 31 August 2017 will also be recognised by the HSA for a 2 year period. Thereafter existing occupational first aiders can apply to have their qualifications individually assessed by a participating PHECC recognised institution (RI) in accordance with the RI’s Recognition of Prior Learning (RPL) policy and procedures. If you have any queries with regard to this transition please contact us.